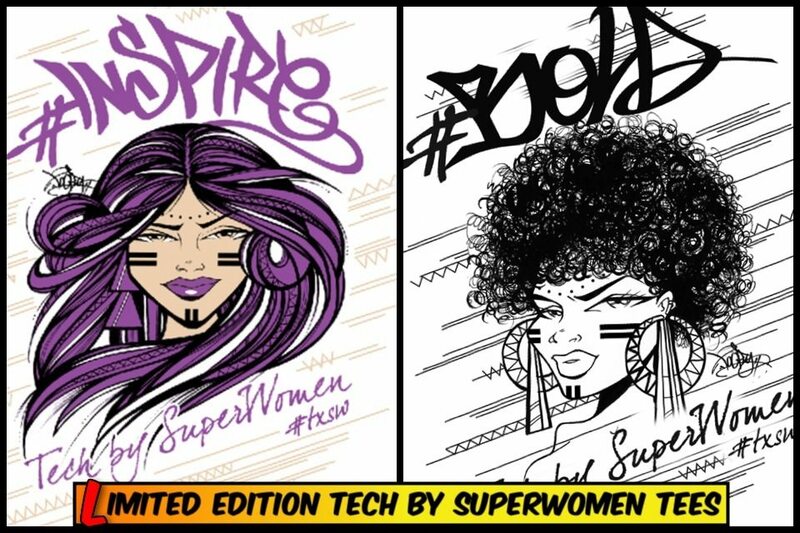 I am excited to announce that the limited edition Tech By Superwomen Tees will be available at SXSW Interactive 2012. Get your Tee at the Tech Superwomen, Mentors and Mentees, FTW SXSW panel — taking place in Austin, Texas on Saturday, March 10 at 9:30 a.m., in the Austin Convention Center (room 9 ABC). This is a limited run so be sure to arrive early to get a Tee. Special thanks to Meshin for sponsoring the Tee giveaways, get to know the ferice co-founder of Meshin — Kristen Galliani. Not headed to SXSW but looking to rock one of these bold, inspiring Tees? Sign-up for The Call Tech Superwomen newsletter and be the first to know when the Tech Superwomen Tees become available for order.